A Benton County sheriff’s deputy is recovering after accidentally shooting himself during training at a range near Warsaw. 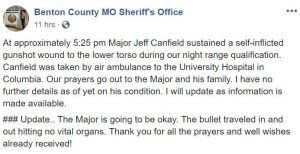 The sheriff’s office posted on its Facebook page the bullet went through Major Jeff Canfield’s lower body and did not hit any vital organs. 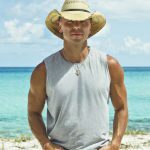 The sheriff says Canfield is going to be okay.